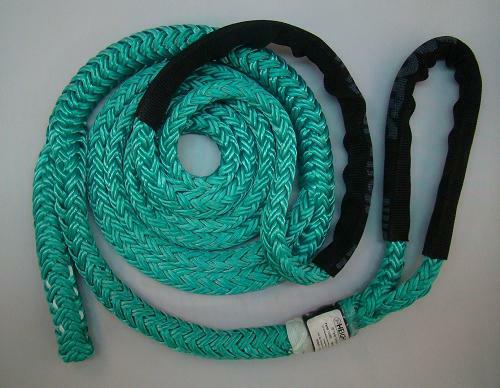 Tenex-TEC is a high-strength, low-stretch rope specifically designed with two ends per carrier. This construction allows more rope surface conformance to objects being lifted than standard single braid constructions. It is Samthane coated to enhance its wear life.